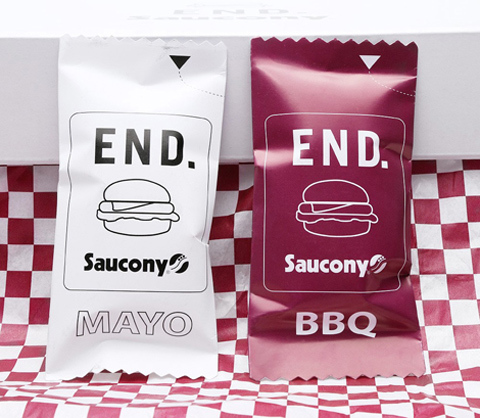 End Clothing and Saucony are collaborating on a burger-inspired sneaker, complete with "BBQ sauce" and "mayo" laces. Food-inspired kicks aren’t new to the sneaker game: Vans and Asics have both put out burger-inspired footwear in the last five years, and Vans referenced Shake Shack in a 2012 collab. 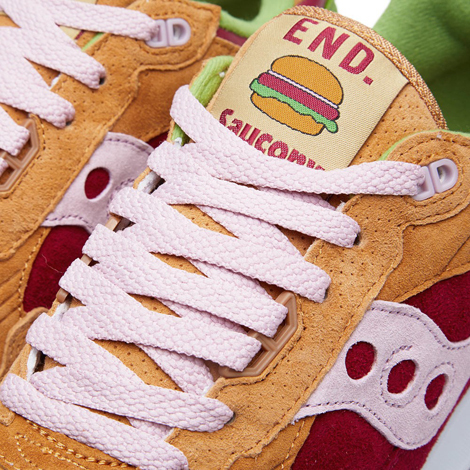 This week, U.K. retailer End Clothing joins the fast-food-as-muse club when it releases a Saucony Shadow 5000 called the Burger. It’s about time the fashion world takes on luxe burgers. 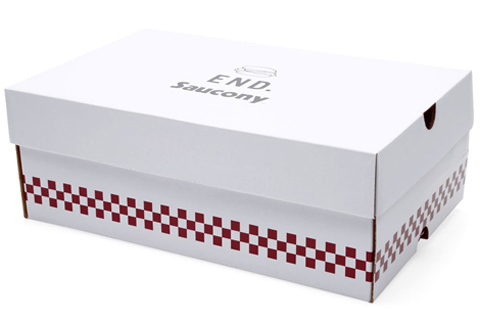 The theme even extends to the packaging, with additional laces disguised as condiment sachets and a take-out inspired custom shoebox. If you can get to Newcastle in England, the END. 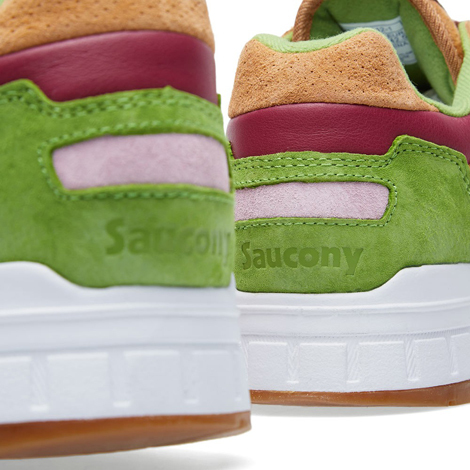 x Saucony Shadow 5000 “Burger” will be available in-store from May 1. Otherwise, get in the virtual “queue” for for the May 3 online release.